On March 26, the Living Archives project organised a seminar on Open Data and Cultural Archiving which was the first in a series of seminars on open data. The morning session consisted of four talks discussing open data and cultural archiving from various angles. 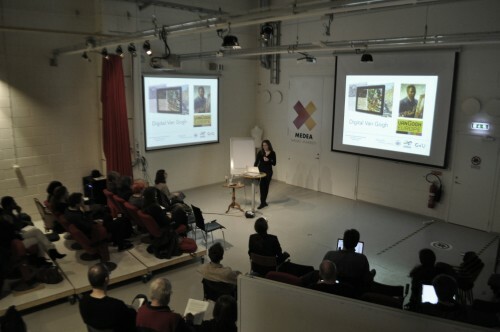 The first speaker was Sanna Martilla from Aalto University, School of Arts, Design and Architecture, who gave an introduction to open culture data and the OpenGLAM (galleries, libraries, archives, and museums) movement. She also discussed some of the opportunities and challenges that culture and memory institutions may face when opening up their holdings for a wider public, and addressed some of the strategies for accessibility, participation, and re-use. Her talk touched several times on openness and participation, and how those two are entangled, as well as on issues of technical infrastructure and data quality necessary for reuse. The next speaker was Maria Engberg, Assistant Professor of the Department of Media Technology and Product Development at Malmö University. Her presentation dealt with Augmented and Mixed Reality applications to create historically informed, creative, and innovative experiences of cultural heritage sites, and exemplified in the European Digital Van Gogh project. The challenge is to do something that moves beyond just presenting where van Gogh painted a specific painting. Part of the project aims to understand how digital media can become part of increasingly distributed and complex sites of cultural heritage. The museums are moving outside of the museums, and it may be interesting to create mediated environments where cultural heritage material becomes a part. We are asking questions such as: what kind of juxtapositions or experiences do users want? Maria Engberg presenting the Digital Van Gogh project. 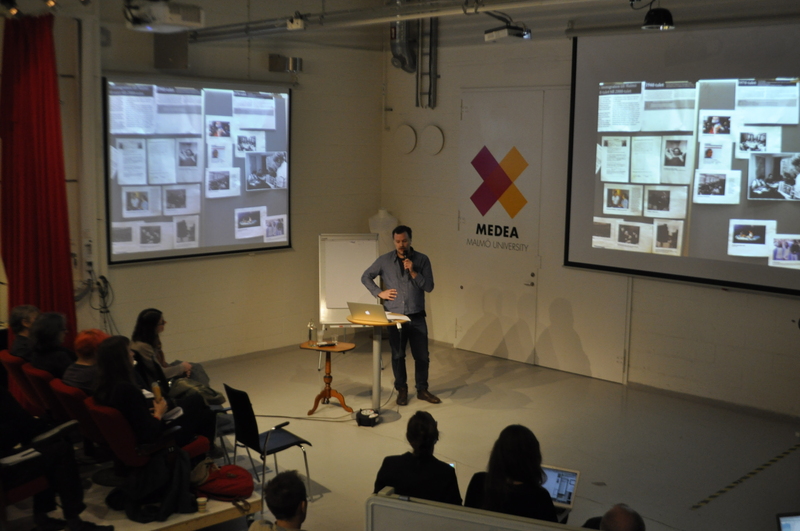 Jacek Smolicki, PhD candidate in Media and Communication Studies at the School of Arts and Communication, Malmö University, discussed how artistic methodology can inform archiving practices, and gave examples of his on-going cross-media archiving projects. Jaceks practices are based on collecting certain aspects of the refuse of daily life, by carrying with him equipment to record audio, take pictures, record position, and take notes. One focus has been recording street music, where over four hundred one-minute samples have been collected. He is working on a performance, to be seen as a dialogue between the software holding the collected street music samples, real street musicians from Madrid, and sound samples collected from the city. The last speaker was Erling Björgvinsson, associate professor at the School of Arts and Communication, Malmö University, presenting the project 100 Years of Immigrant Women’s Life and Work in Malmö. This project is a work in progress, run by Malmö museum and the network Feminist Dialog in cooperation with ABF and researchers from Living Archives. 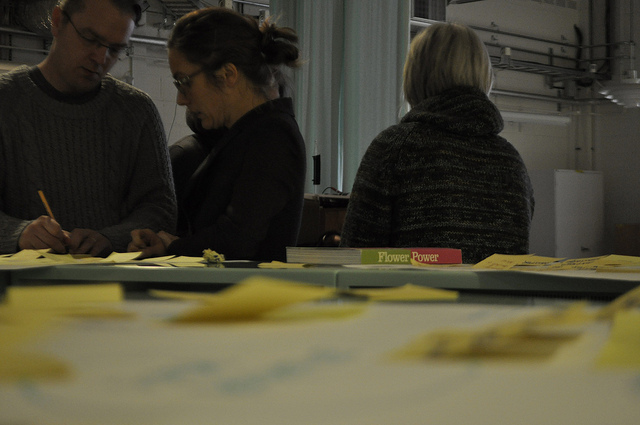 Central questions that the project deals with in relation to open data is how a dynamic relationship between collecting and creating ‘living stories’ can be achieved, and how public archiving, temporary showcasing, and memory sharing can complement traditional museum exhibitions and archiving. Erling Björgvinsson about the project 100 Years of Immigrant Women’s Life and Work in Malmö. In the afternoon the participants got the chance to join one of the three offered breakout sessions on Augmented Reality, Life Logging, and Urban Gardening/Farming. The augmented reality breakout session discussed some challenges of using mobile augmented reality to engage people in cultural experiences. For example, how do you go beyond “show and tell” applications, to add reflectivity and narrativity in? How do you design AR for serendipity? The life logging breakout session discussed two different kinds of life logging approaches, the automated life logging approach (where the user wears a camera) and the use of manual forms of life logging. The group discussed how each participant would go about capturing their daily life and then went outside to do this in practice. In the breakout session on urban gardening/farming, contemporary global and local urban gardening initiatives and actions were briefly presented and discussed. Also discussed was what could be the next step, and who to collaborate with. After the summer a seminar/workshop will be organised to continue the discussion. Photos from the day are in this set on Flickr. For further questions, contact Marie Gustafsson Friberger or Elisabet M. Nilsson.